Dental Implants are the gold standard in tooth replacement. 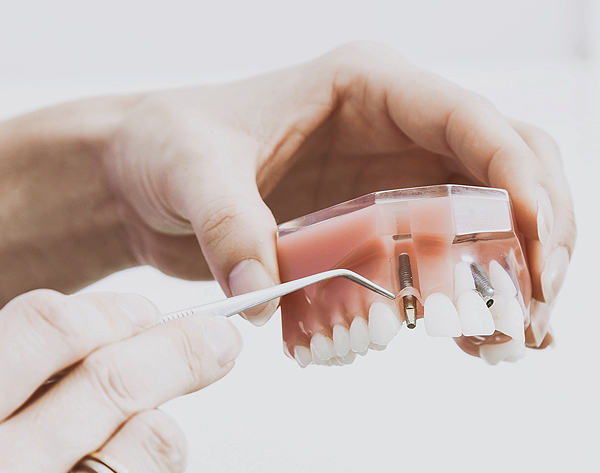 They are fixed in place and do not rely on any surrounding teeth for support. They look, feel and function as close to a normal tooth as possible. The placement of implants is done over two stages. In the first stage a Titanium Implant is inserted into the jawbone and given time to integrate. Once integration has occurred and the implant is stably in place a dental crown is constructed to replace the missing tooth. The placement of implants requires extensive training and therefore most general dentists are not able to place them. At Brookwater Dental, we are pleased to be able to offer this treatment alternative to all suitable patients. If you are interested in replacing any gaps in your mouth with a dental implant please call us up to book for an initial consultation. Our friendly staff will go through the procedure in more detail and help you decide whether this is the best option for you. Contact us on (07) 3199 3260 for all your Dental Implant needs.